I have been thinking (watch out for the flying sparks.) I am writing a book about gratitude journaling, because I profoundly believe that reminding ourselves what we have to be grateful for, on a daily basis, will attract more to be grateful for into our lives. I also believe that journaling can be a therapeutic exercise, that can help us identify our fears, our limiting beliefs, our incorrect assumptions and our blind spots. Practising what I preach, I keep a bullet-point gratitude journal. I also use my journal to write about anything that is upsetting me on a given day, and once I have written it out of my system, I look for something to be grateful for. No matter how dark the clouds overhead may seem, there is always a silver lining to be found. I am quite convinced that it would have been impossible to survive the trials and tribulations that came my way these last two years if I were not in the habit of using my journal as a confidante. Putting my distress into words on paper first, has also made it easier for me to talk about it to my closest friends, something I found very hard in the past. Journaling enables me to capture my thoughts, emotions and perceptions so that I can examine them and evaluate their worth. Rationally. Exposing my thoughts, emotions and perceptions to the light of day allows me to take a hard look at them and instead of reacting mindlessly, I can adjust my reaction to ensure an outcome that does not cause more distress. Lately, while writing my book, I have been thinking about how journaling can help us survive as writers. It jump-starts my writing day. When I wake up, I do not immediately start writing brilliant prose (if ever,) it takes me a while to get into (writing) gear. It is an exercise in mindfulness, when I redirect my wandering mind time and again to what I am writing about in my journal. Journaling, for writers, is much like physical exercise, it builds our “writing muscles.” Writing for 10-20 minutes without worrying about spelling, grammar or even making sense, is liberating. I used my journal for research. When I am writing, I often look back at past entries in search of coping strategies to add to a book I am writing. Journaling can cure writer’s block. Daily journaling can help me to work out how and where I got stuck. Journaling provides with a record of my writing efforts and routine. I can look back and try to work out how and why I got stuck. My journal also shows me where I was and what I was doing during my most creative periods so that I can recreate a particularly productive environment to get rid of writer’s block. It is so easy to keep a journal these days, there are even apps that you can download to your phone like Day One, Dario and Narrate. Following fast in the footsteps of my thought about the use of journaling to authors, came another thought: I host walking and wine tasting workshops for writers here in the south of France, especially for writers who suffer from writer’s block. I do not presume to be able to teach anyone how to write, I depend entirely on the inspirational effect of walking the 9-century-old Camino de Santiago de Compostela to inspire, as it did Paulo Coelho, my visiting writers to start writing again. For that reason, it is a short workshop, a maximum of 4 nights – half-a-day to arrive, 2 days to walk the Camino, one day to sample some of the delectable wines of this region and half-a-day to leave. Now I am thinking (duck the striking lightning) that I might be able to teach writers something after all – how to use mindful journaling and vision boards to improve their writing. 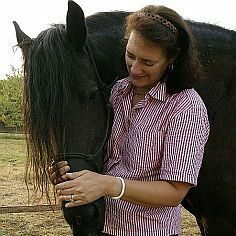 Madeleine L’Engle advised, ‘If you want to write, you need to keep an honest, unpublishable journal that nobody reads, nobody but you,’ so I am thinking about creating a 7-night workshop, alternating walking, wine tasting and journal writing, with one or more equine-guided mindfulness meditation classes thrown in for good measure. I think I would love to host a workshop like that. Before I ignite my mind to spontaneously combust, I think I had better stop thinking and get on with the morning’s “serious writing,” so back to the chapter about the physical benefits of regularly expressing one’s gratitude in my new book. 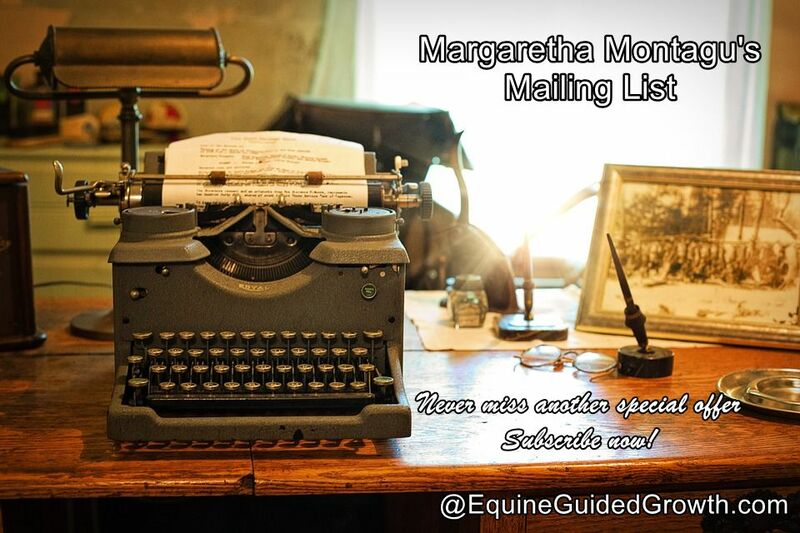 For early-bird discounts and last-minute special offers on workshops, book giveaways and new book releases, available only to mailing list subscribers, and notification of new life-enhancing blog posts, subscribe to my mailing list by CLICKING HERE. 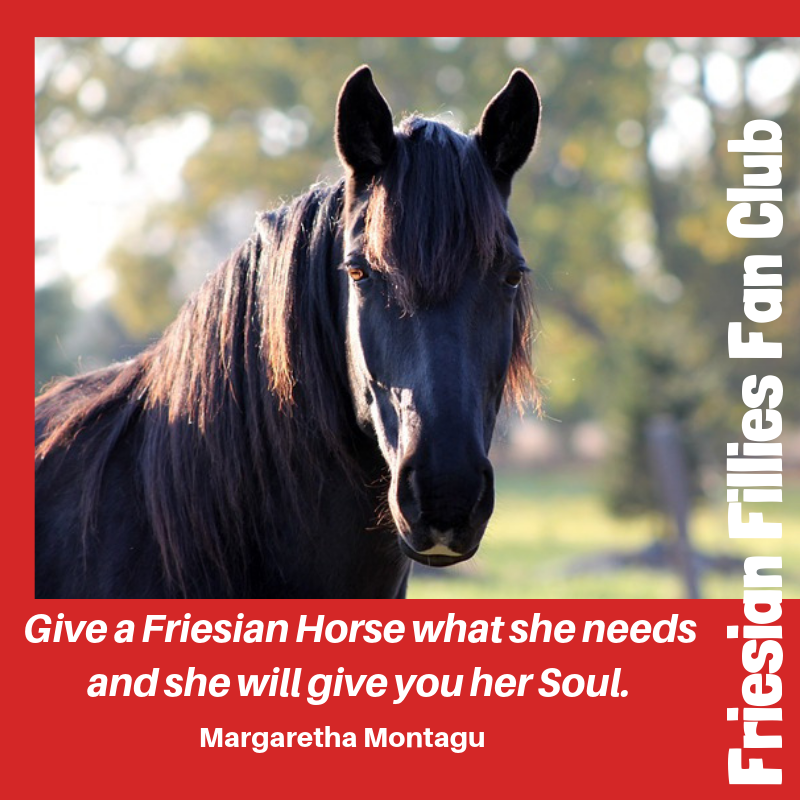 You will receive my Instant Self-Confidence Guide immediately – straight from the horse’s mouth! I wonder if I could write a fairy tale? I wonder if I could write a story, a real story, with characters, a plot and a hero’s journey, instead of the non-fiction personal development books that I have been so comfortable with until now? I did not have much time to dwell on these distracting thoughts. I had to get ready for lunch. The Pigeonneau is one of my favourite restaurants, and as luck would have it, also one of the closest restaurants to the farm. Having a restaurant of this exceptional quality so close by is rare here in deepest rural France. So it was wth a song in my heart that I joined the ladies that morning. I was not disappointed. I barely made it through the front door before a Kir(apèritif), as if by magic, appeared in my hand. With my Kir in one hand and my camera in another, I did the rounds. In this part of France, greetings are accompanied by a kiss on each cheek, so you can imagine that this was no easy endeavour. We sat down to a delicious lunch with red or white wine. We started with a salad of grilled courgettes and mushrooms, accompanied by a small glass of pumpkin soup. This was followed by either Beef Stroganoff with Rice or Carrelet (Plaice) with beurre blanc sauce and Rice. I had the plaice and it was as good as it always is. We finished the meal with Pannacotta with red fruits and coffee. Our club now has more than 150 members and 50 of us meet once a month for lunch. As we have discovered in the past, it is not easy for a countryside restaurant to cater for such a large group, but the Pigeonneau did us proud. Thank you so much, Ruby and the rest of your team! We all took a small gift to lunch. We all took one of these on our way out, after the lunch. I am going to open mine on Monday the 19th, my birthday. Since it is Christmas (and my birthday), I have decided to give my latest 90-page book, You ARE Good Enough – a 10 Step Strategy to Stop Sabotaging Yourself away free to all new subscribers to my mailing list. This giveaway is hosted by Instafreebie. I survived the book signing. As an author, it was one of the most uplifting experiences of my hitherto short career. I signed my book at the annual Ladies Lunch Club Christmas Market. We went to scout out the location and set up on the Thursday afternoon. I took my friend Sharon Duerst of the Mending Stone Blog’s advice and gathered together a few suitable props beforehand: a shabby chic table, two chairs and a few more bits and bobs. The idea was to re-create a Frenchwoman’s boudoir, as background setting for selling my French Woman’s Confidence Secrets book. The setting was glorious. It is still autumn here. The vineyards are in full autumn swing, sporting colours that defy natural law: brilliant red, glowing ruby, bright orange and yellow…The location was a several- centuries-old wine-producing château, deep in the heart of the vineyards of Gascony. If I had to choose somewhere to do my first book signing ever, I could not have invented anything better. The Christmas market’s vernissage was on the Friday evening. This included a wine tasting. Obviously. The Chateau de Millet did us proud. Intent on staying sober, I only had a glass the Chardonnay. I am not a huge Chardonnay fan, but this one was divine. The tasting room was large, on two levels, so there was ample space for all the stalls. I was the only one selling and signing books. There was a huge variety of Christmas presents and decorations on sale. There was also a stall selling breads and cakes in aid of a refugee family in Eauze. The vernissage was well attended. During the three hours it lasted, we sold all books I had ordered, except for three that I promised to hold onto for friends. I say we, because my husband sold at least half of that number. He mostly chatted to the menfolk while they tasted the wines. He might have mentioned, once or twice, that his wife is selling her book and would that not make a great Christmas present? So difficult to find a suitable Christmas present for the Missus, isn’t it? I rarely got to sit down behind my snazzy little table. I signed most books standing up. I mostly remembered to add one of the controversial bookmarks advertising my next book to each book I signed. I severely miscalculated, though, I did not order enough books. I did not take into account that some people may buy more than one book. One woman bought three books, one for each of her daughters. Which meant I ended the evening with a list of e-mails from people who would like to buy a book, as soon as I have more in stock. All this was wonderfully gratifying, but it was not the best part of the evening. The very best part of the whole experience was the people I met. I met the most amazing people, people that I would probably never have come across otherwise. Most conversations started with ”So what is your book about?” This was followed by me stuttering nervously, ”It is about women…er, French women…and about what other women can learn from them about being self-assured and self-confident…” in whatever language I was addressed in: Dutch, French or English. Luckily, most people promptly soldiered on with another question and before we knew it, we had found a common interest and were chatting away as if we were old friends. That was the best part of the book signing. The people. The second best part was the e-mails in my inbox on Saturday morning. I couldn’t believe it. I just couldn’t. The vernissage finished at 20h00. At 23h21, the first e-mail arrived. Several followed, saying how much the reader was enjoying the book and could they please order another for a friend, daughter, mother or sister? I was amazed. Admittedly, I had started to receive unsolicited 5-star reviews on Amazon, but until now, most people who said the book was good were friends and family. Not altogether unbiased, in other words, so I took the praise with a pinch of salt. The euphoria wore off way too soon, sadly. Especially as I have been very busy with the editing and publishing of my latest book called ”You ARE Good Enough.” It is much shorter than the others, only 89 pages. It is available in print on Amazon for $4.99. One last thing about the book signing: The sweetest thing that happened was when the wife of the owner of Chateau Millet, who does not speak a word of English, bought my book (in English) for her daughter, who apparently does speak a few words of English. I hope the book lives up to her expectations, otherwise I shall have to go and buy our Chardonnay somewhere else! To all my blog-readers: To thank you for your support over the last year, I am giving away free copies of my 89-page e-book “You ARE Good Enough – A 10-Step Strategy to Stop Sabotaging Yourself” via this link: Merry Christmas to my Blog Readers!